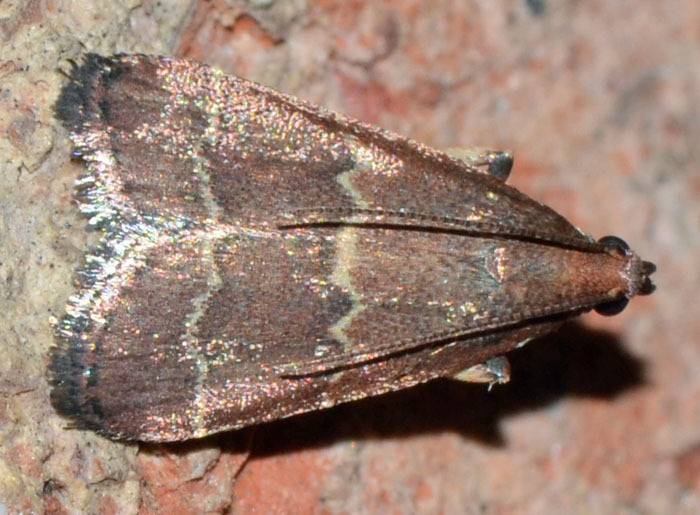 To me this moth looked like Parachma ochracealis (see below) but an expert determined it to be Heliades mulleolella. Part of the difference is apparently the jaggedness of the AM and PM lines in this specimen. H. mulleolella is the only known species north of Mexico.